Each of these items is equally important for a successful at-home insemination. When these devices are used together, you can throw away that old turkey baster and now have a high technology actual Intra Cervical catheter to do a real insemination with. With ovulation prediction kits, you can actually predict when you will ovulate. Knowing when you are ovulating is essential because it predicts the optimal time that conception will occur, which then will also tell you when the best time to inseminate yourself will be. Without ovulation prediction kits, you will have to guess when your fertile times are. Did you know that some over the counter lubricants actually kill sperm? People make this mistake constantly. They think they are doing everything right, but they end up not getting pregnant. Then, they switch to a conception friendly lubricant, and all of the sudden they get pregnant. Make the right decision from the start so you don’t hit a roadblock in the beginning with something as simple as picking the right lubricant. Depending on your method of collecting sperm, you will need proper medical supplies so you can safely gather the sperm and inseminate yourself. 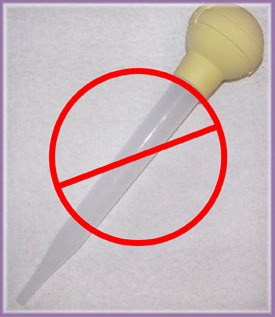 Also, when it comes to using a “turkey baster” the best device you could possibly use would be an intra cervical catheter. This is an actual catheter that would be used in a doctor’s office but you can now have access to it in the privacy of your own home. Choosing to do an at-home insemination also allows both partners to be involved in the conception process. Don’t forget your pregnancy tests. You want to test yourself to see if your insemination was successful. If you aren’t successful on the first round, don’t be discouraged. You can try again until you are able to conceive. Remember, you need to be as stress free as possible to increase your chances for conception, so don’t allow yourself to get discouraged. Keep your spirits up as you try to create a baby. If you have not been able to conceive after trying for a year, you then might want to consult a fertility specialist. Lesbians have more options than ever before when trying to start a family. From adoption to conception, choices are available. If you choose to conceive at home, make sure your kit is stocked full of everything you need so you can bypass that old turkey baster technology and increase your chances with the newest available technology. With the right kit, you can have an intimate experience with your partner in the comfort of your own home.